Here at the NMA, we get excited about the water! 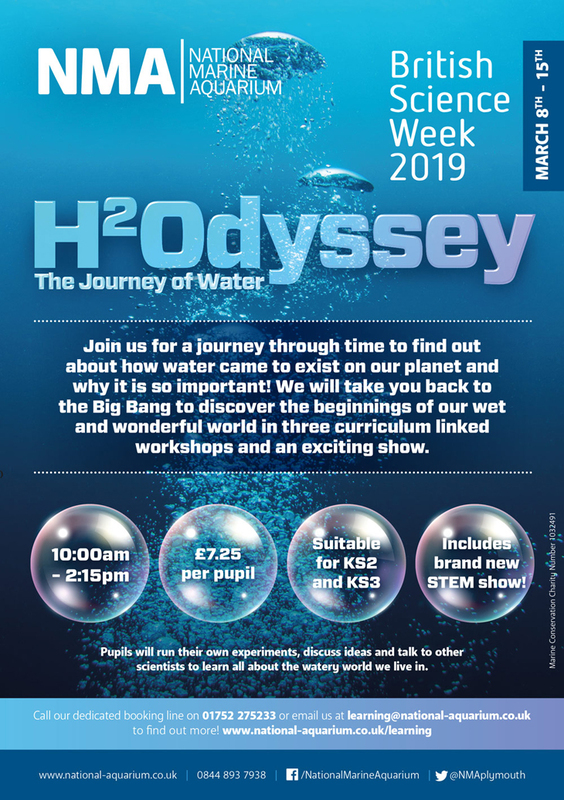 During British Science Week, we will be going on the Journey of Water to celebrate the amazing liquid and we want to share our H2Oddessey with you! We will be exploring the wonderful world of water and journeying back through time to discover it origins. We will be looking at what water has been doing and where it’s travelled since the beginning of Earths history and finding out about why we need to look after this precious resource. Your day will be filled with experiments, fun and exciting discoveries about this every day, life giving liquid! The day will include everything you need for your class to experience water! 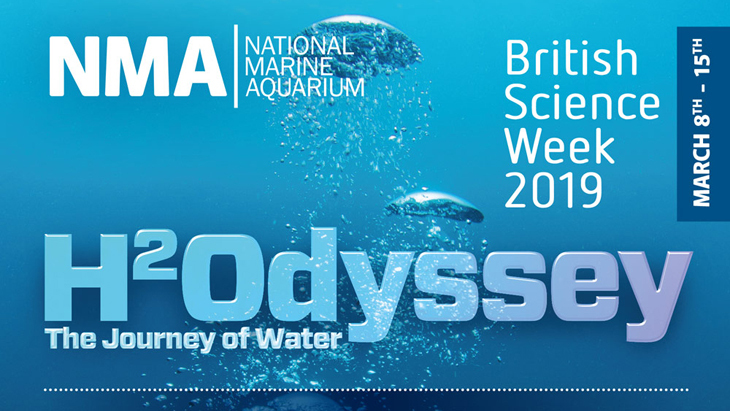 There will be inspiring curriculum linked workshops, a chance to look at the NMA’s beautiful exhibits with animals from all of our worlds oceans as well as an interactive show experience which will take them back to the beginnings of our universe to discover how we came to be an Ocean covered planet. We still have spaces available on our British Science Week programme, but they are selling fast!